Just outside the city limits is a three bedroom, two full bath home with a pole barn. This home features a spacious kitchen with eating area, glass back splash and appliances. Living room with gas log fireplace. Two nice size bedrooms and full bath with additional master bedroom and master bath. Heated den/family room off the home with access to backyard. 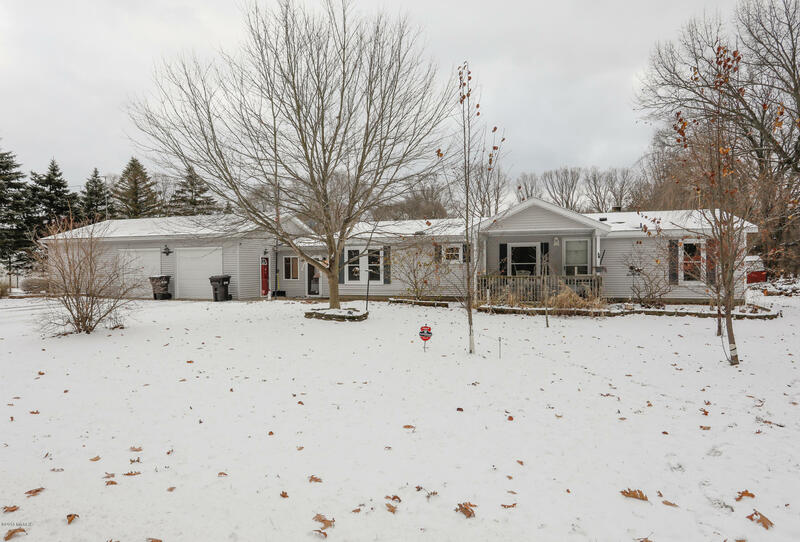 Heated and attached 28 x 40 garage. Main floor laundry. Pole barn is 32 x 40 with water, electric and cement floor. Newer roof, replacement windows and central air. Convenient to schools, shopping and ski area. Reserved items: Central boiler, flag pole and TV antenna.